Of news items, in photographs. For some reason I noticed it. Or arrived. Or some of them. Were you among them? I studied it. Sylvia Plath sailed from New York City on 14 September 1955, arriving in Southampton, England, 6 days later on the 20th. She was one of many on board the Queen Elizabeth travelling to universities spread across the United Kingdom to a destination in England, Wales, Ireland, and Scotland, and maybe beyond. The Queen Elizabeth made a brief stop in Cherbourg, France, before arriving early in the morning of the 20th. Plath's pocket diary, held by the Lilly Library at Indiana University, notes that she had breakfast at 7, and between disembarking from the ship and going through customs, Plath notes down that once in port her picture was taken by a photographer from the Evening Standard. Was she in a group? Alone? Plath boarded a train bound for London, and then took up temporary residence first at Bedford College (now Regent's University London) in Regent's Park, and then at the YWCA 57 Great Russell Street, London (map), across the street from the British Museum, before heading to Cambridge on 1 October. Between 20 September and 1 October, Plath took advantage of London, seeing movies (Shadow of a Doubt and Rififi); plays (Waiting for Godot, The Count of Clérambard, Separate Tables, The Remarkable Mr. Pennypacker, and The King & I); going on dates; meeting people; and as you may imagine, sending letters home. At first glance, it looks like this post might be about the discovery of a new, long-lost photograph of Sylvia Plath. One that lends credence and the potential of biographical authenticity to a reading of Ted Hughes' poem "Fulbright Scholars". Would that it were. Certainly Plath's notation does this, in the absence of the photograph. Hughes cannot (or does not) in the poem remember the name of the newspaper, but we have every reason to believe some of what he does write is true: sizing up the ladies, for example, as many might do. Unlike my post from August, this post, as of now, does not have a happy ending. I have not found the picture. I searched two microfilm versions of Evening Standard for this time, September and -- to be thorough -- October 1955. Once at the British Library in March 2013 and once via interlibrary loan in May 2014. Here is what I did learn, though! The microfilmed version of the Evening Standard was the "Final Night Extra" edition. This leads me to conclude that there were other, earlier editions throughout the day. I have been unable to confirm how many editions were printed daily, but if they are anything like the Boston daily papers from this time period, there could be three to five or more editions per day. In the research I did looking for newspaper articles on Sylvia Plath's disappearance during her first suicide attempt in August 1953, this was certainly the case (read my paper "'They Had to Call and Call': The Search for Sylvia Plath"). In the articles on Plath's disappearance and discovery, her news story sometimes appeared on the same page for each edition, but sometimes her story was bumped or moved to another page, for space or due to other hot and urgent news items. In the 20 September 1955 issue of the Evening Standard there are two provocative news stories regarding the docking of the Queen Elizabeth in port at Southampton. In the first story, passenger Archibald Campbell was found dead in his cabin on the night before docking at Southampton. The second story involved the arrest of a man from London on board the Queen Elizabeth at the time the ship docked. The man was arrested in his bed in his cabin under suspicion of having received £196 under false pretenses. There were no reported stories of female passengers biting male passengers on the face. The strongest indication to me that the Evening Standard might have covered the arrival of Fulbright scholars at Southampton is a nearly full page story on the arrival, in Liverpool, of 13 Beaverbrook scholarship winners including teachers and scholars from Canada aboard the Empress of France. If this ship arrived later in the morning or day than the Queen Elizabeth, it is conceivable to me that the Fulbright scholars story simply was usurped, after possibly running in one or a few previous editions. This story about the Canadians includes a photograph of three females on the gangway. It does not take too much imagination to think of a similar situation in Southampton, Plath among them. So close! If you, valued reader, have any knowledge of the number of editions of the Evening Standard in September 1955, please do let us know. Also, if anyone knows of the existence in particular of other editions (other than the "Final Night Extra") of the paper from 20 September 1955, please do also let us know. Thanks to Petter Naess, Executive Director U.S.-Norway Fulbright Foundation, and Andrew Wilson, author of Mad Girl's Love Song: Sylvia Plath and Life Before Ted, for their help with this post. All links access 9 May 2014 and 26 August 2014. The following is a special guest post by Dr. Gail Crowther. Thank you, Dr. Crowther. Recently, I have taken to reading Elizabeth Bowen. I don't know why I have never read her before now, but anyway, about two years ago I bought an old penguin copy of The Death of the Heart from a second hand book store. It lay on my 'to-read' pile since then, until a couple of months ago during a sleepless night I started to read it. Now I am currently enjoying a Bowen-fest, working my way chronologically through her novels and stories. Needless to say, I am smitten. I knew, of course, that there was a Plath connection. 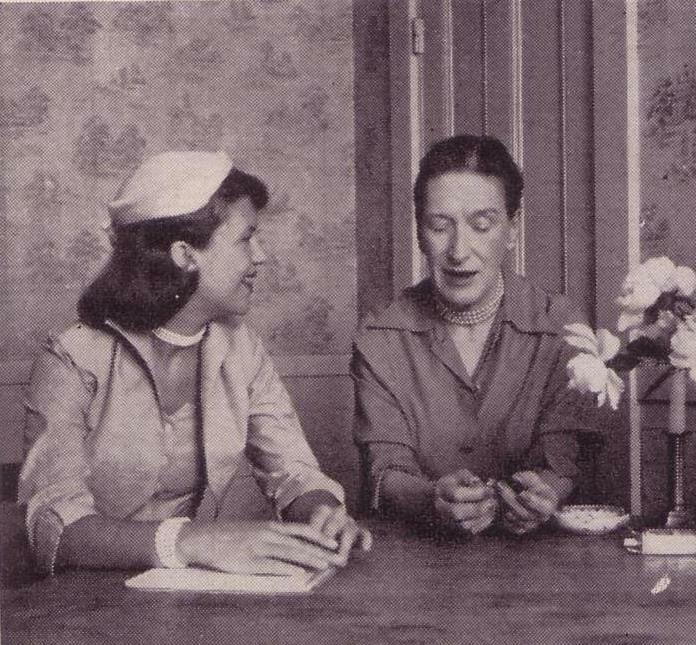 A young Sylvia Plath while working for Mademoiselle had interviewed Elizabeth Bowen in the home of May Sarton at 14 Wright Street, Cambridge, Mass on 26th May 1953. It was famously captured in a series of photographs by a Mademoiselle photographer. They show a smiling and slightly adoring looking Plath interviewing and engaged in discussion with the older writer. Bowen's advice was that a young writer should "move about the world and keep in contact with people" and keep away from jobs that waste creative energy ("We Hitch Our Wagons" 282). Aspiring writers need, according to Bowen, "both criticism and encouragement" (282). 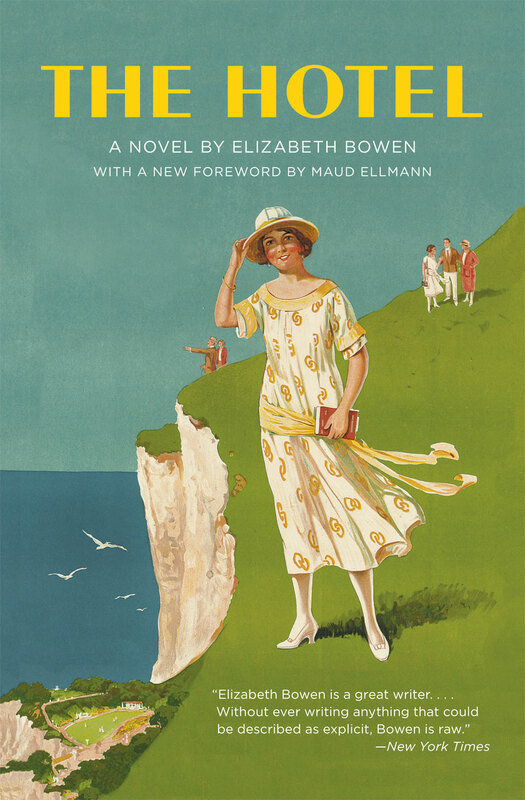 For her own part, Bowen claimed she turned to writing short stories when she failed as a poet, and even then, still preferred the format of a short story to a novel. Her own work sprang out of visual impressions and did not see print without much re-working. Bowen's library cards from Smith College. Used by permission of the Mortimer Rare Book Room. To what extent might Plath have read Bowen to prepare for this interview? Library cards at Smith show that Plath signed out a number of Bowen novels and stories with a return due date of 28th May 1953. She appeared to read the following books: Early Stories, Seven Winters, and Ivy Gripped the Steps. Her calendar indicates that she read The Death of the Heart also on 25 May. Clearly she researched her interview subject well. After the interview, Bowen and Plath exchanged letters. Although there is no known copy of the letter Plath wrote to Bowen, the reply, held at Lilly Library, Indiana University, was sent from Bowen's Court in Ireland on 9th June 1953. It showed warm appreciation in which Bowen stated how lovely it had been to meet Plath and that she hoped to be reading some of Plath's own books in the future. The coincidence and similarity is startling and raises the obvious question: did Plath ever read The Hotel? In one of those mysterious and ambiguous moments that history often throws at us, the answer is, it is impossible to know. 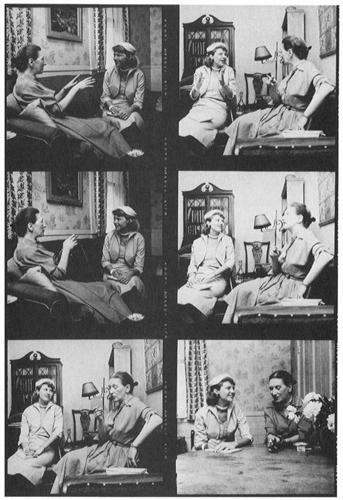 Smith College holds a 1928 edition of The Hotel which would have been on the shelves during Plath's time there and certainly during the spring of 1953. However, Karen Kukil informed me that in recent years the book has been rebound and the original check out card is missing. In her letters and journal the previous year, Plath had already drawn upon the image of suffocating under a bell jar. A journal entry on Friday 11th July 1952 describes her fear of giving up her summer job at The Belmont Hotel on Cape Cod and returning home to long, unstructured 12 hour days for 10 weeks: "It is like lifting a bell jar off a securely clockwork-like functioning community and seeing all the little busy people stop, gasp, blow up and float in the inrush (or rather outrush) of the rarified scheduled atmosphere..." (2000: 118). In a letter to Marcia Brown written between 23-24 July 1952 and held at Smith College, Plath describes the "rarified atmosphere" of her life so far as though living under a bell jar. Bowen, Elizabeth. The Hotel. Chicago: University of Chicago Press, 2012. Plath, Sylvia. The Bell Jar. London: Heinemann, 1963. ---. The Journals of Sylvia Plath. London: Faber & Faber, 2000. ---. Letter to Marcia Brown, 23-24 July 1952. Smith College. "We Hitch Our Wagons." Mademoiselle. August 1953: 282. Listen to Elizabeth Bowen's 3 October 1956 "Truth and Fiction", on the importance of creating strong characters in fiction, from the BBC archive. All links accessed 18 August 2014.